In the history of PJ’s photo blogging challenge, this is the first month participants have faced the added challenge of a repeat theme. As I explained the first time around, baseball isn’t really my thing. I don’t play it, our kids don’t play it and I don’t watch it. First at bat I opted to portray baseball in still life. NOTE: The baseball explanations that follow are imprecise, based on my best recollection from phys ed classes. 1. Pitcher – In baseball, the pitcher is the player who throws the baseball from the pitcher’s mound toward the catcher to begin each play. 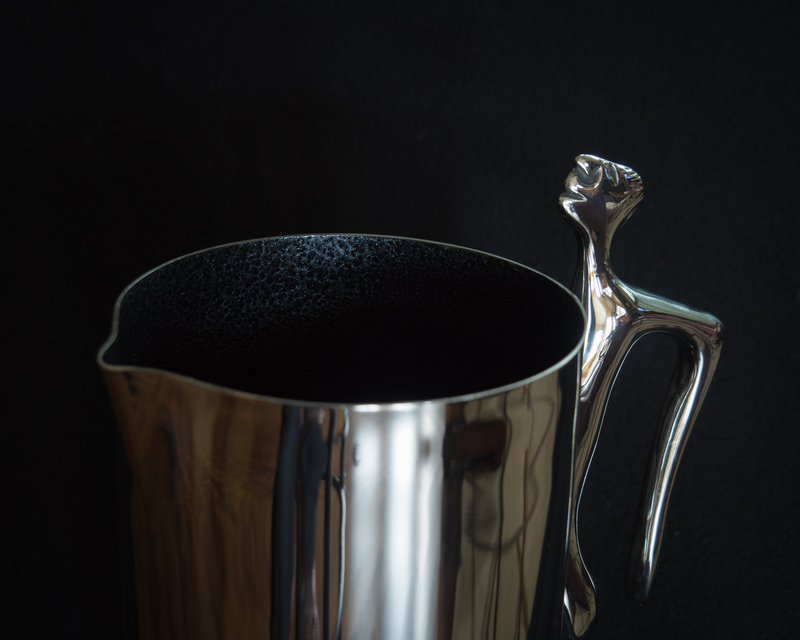 In my world, the pitcher is what you fill with a delicious drink of some sort and place in the refrigerator so you can enjoy a cold beverage on a hot afternoon. This pitcher was a housewarming gift. 2. Walk – In baseball, a walk is an advance to first base that is awarded to a batter who takes four pitches that are balls. From my perspective, a walk is a mode of active transportation or a moderate form of exercise, preferably done outside and in good company. 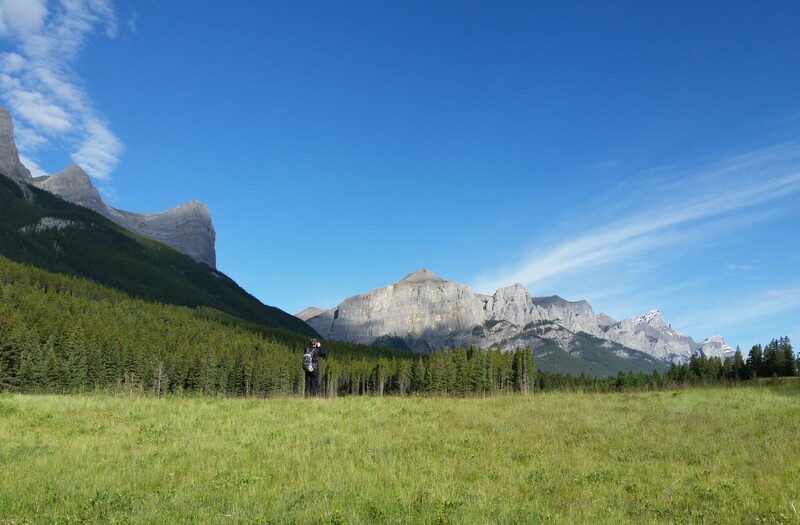 This photo is from a June walk in Canmore with Mr. GeoK. 3. Triple – In baseball, a triple when the batter safely reaches third base after hitting the ball. I consider three of just about anything as a triple. 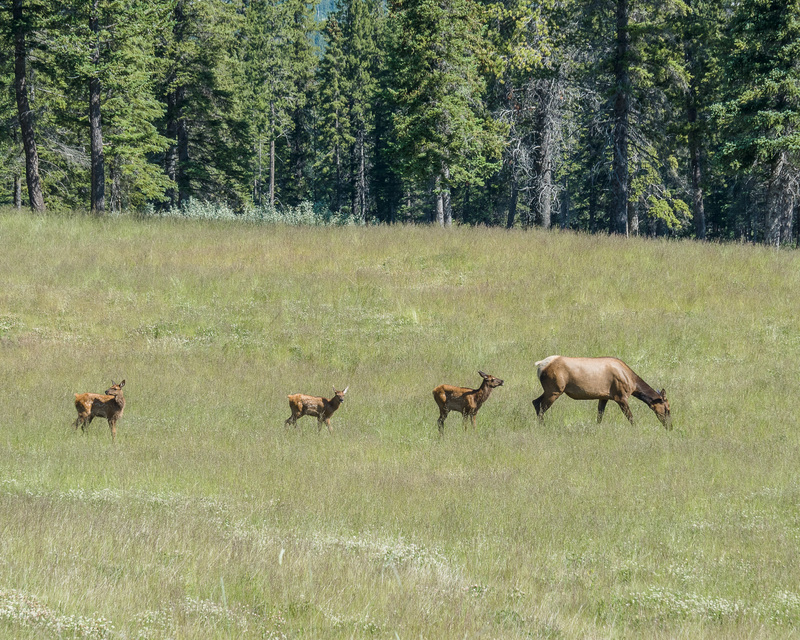 In this case, it’s three elk calves, likely not triplets because even twin elk calves is a one in a million thing. 4. Double – Same concept as a triple, except the batter only reaches second base. In this case, my version is an in camera double exposure. 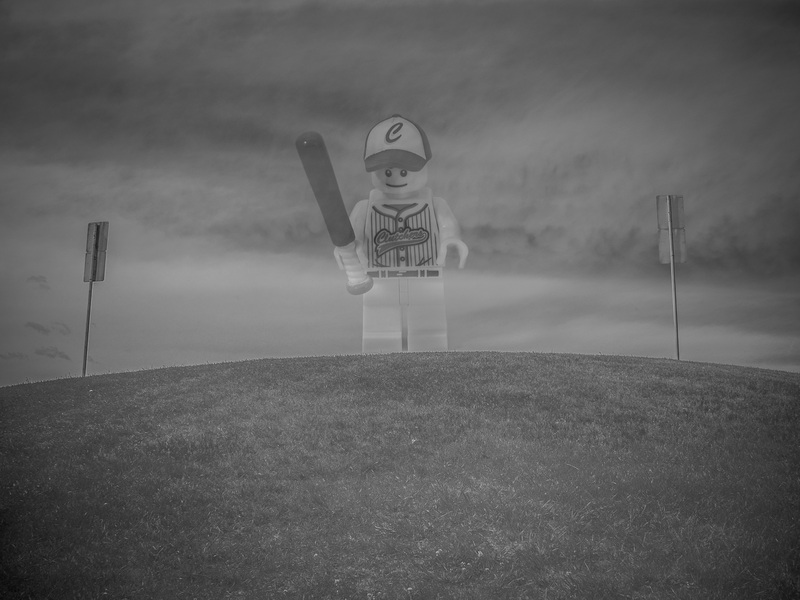 I still haven’t quite mastered the gain aspect of this camera feature, so it came out more exposed than I would have liked, looking a bit like a baseball ghost. 5. Bases – In baseball, a player has to touch all four bases (which are arranged in a diamond shape) in order to score. In my experience, bases are the only way to keep Lego Minifigs standing upright. The standard Lego Minifig base is a 1/3 height, 3 x 4 brick with only 4 studs. That’s it for my unorthodox take on baseball. I’m sure the other participants came up with something more appealing to actual fans of the sport, so hop on over to A ‘lil Hoohaa to get the real deal. I like to treat this photo blogging challenge as a month-long photo assignment, which makes it pretty low stress. New participants are welcome to join the photo blogging challenge any time. Since I’m a day late posting this, I already know the next theme, which is Photographer’s Choice. I think that makes July 2016 the perfect month to join in. See, this is what I like. When people take a theme and get creative with it. I always know that some will do traditional (as I did with this theme) and others will do a different approach (as several have done for June). This was an excellent interpretation. Well done! 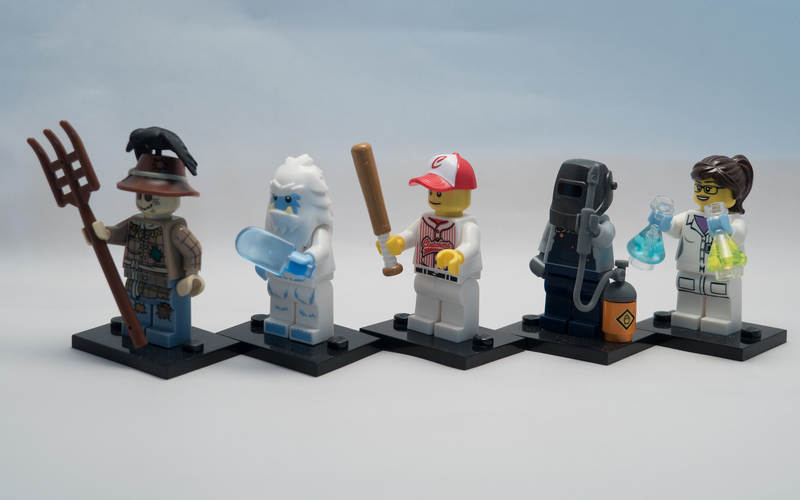 I like your interpretation of the theme baseball, especially the ghost lego. Nice shots. I am new to the photo blogging challenge. Lucky for me, I love going to baseball games. Hour take was pretty witty. I especially enjoyed the picture of the Legos. Oops, typo. I meant your take was pretty witty. I just never learned to appreciate baseball. Mr. GeoK enjoys watching MLB, particularly the Toronto Blue Jays. Looking forward to visiting your blog…will do my rounds of all the posts later this week. Hahahah, LOOOOOVE it! Great minds think alike, check out my post as well, Denise! Planning to do some blog hopping on Monday…will be busy supporting our 16 y.o. as he gets organized to go off to a 4-week summer program for the next couple of days. Looking forward to seeing your post! How creative! Love it. I would rather play/watch your version of baseball any day.